It takes a whole year to accumulate enough loot. Many pickers (that would be Beth) are employed to get the job done. Many 40% off coupons are assigned to high temp hot glue sticks purchases in order to make the creation execution possible. 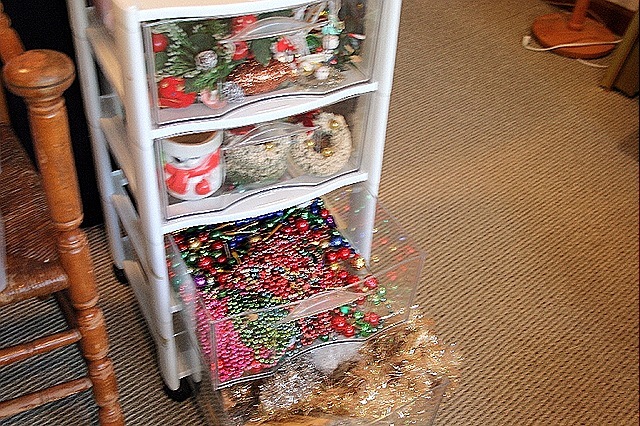 Many storage bins are required to keep the loot organized. Wreaths in progress. They are looking pretty good, but I think I can squeeze a few more ornies in there. Now I just need some neosporin for these hot glue blisters. How beautiful! I love seeing a wonderful supply of pretty things! Wish I was there! The wreathes are spectacular! What a burst of color! Wow!! You need to head to the shop!! Mom and Anna just got a huge supply last night at an auction!! There are shiney brites and some beautiful bells and flocked ornies!! Too fun! Just wonderful! I want one on my door! Ya gotta love hot glue gun injuries. If only you were a little bit closer, I’d run some more right over! you just bought a piece from me yesterday and now i found your beautiful blog! LOVE all the photos-you have wonderful taste in ephemera and old crusty things! 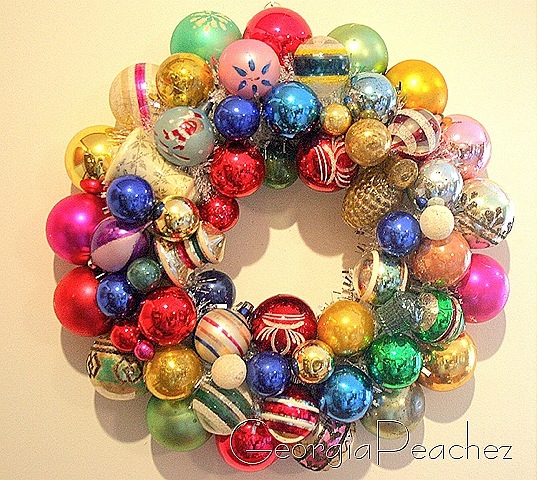 Your Shiny Brite Wreaths are so beautiful and happy-making! Love them! When can I get a wreath????????? These are so fabulous. So pretty. The question of the day is: does the hot glue not come of and drop them onto the floor? I swear every time I hot glue things start dropping off like flies. Maybe I use cheap glue? That time again, huh? I keep meaning to tell you; not one day has gone by that I haven’t LOVED the jeweled mirror I was lucky enough to buy from you last year. Seriously. Love it. 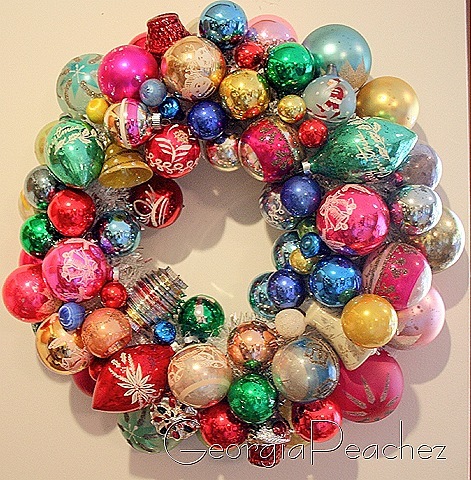 Great wreaths Suzy. Have fun!! 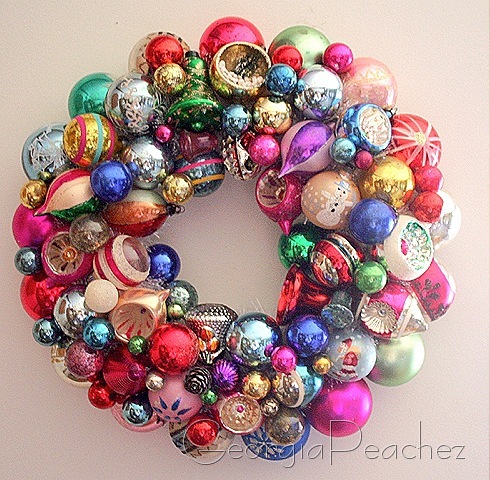 these wreaths are too beautiful! 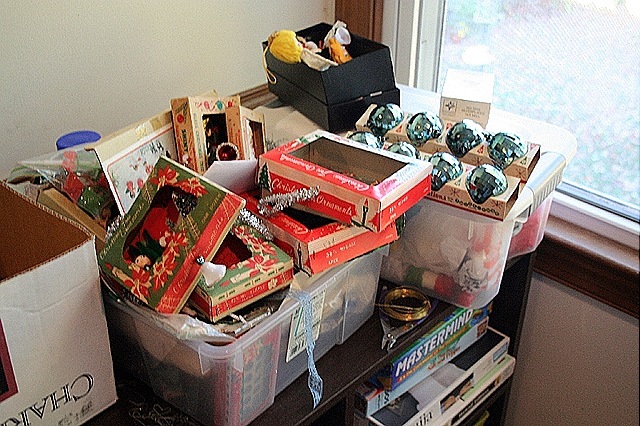 i’d love to do something like this, but savor my vintage ornaments too much and still don’t feel like i have enough for the tree. 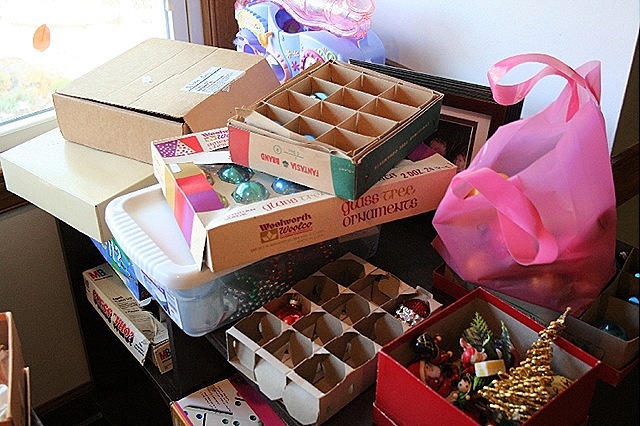 i found 5 vintage pink ornaments to add to my tree this year. and a tree rotator! can’t wait till the day after thanksgiving! thanks for visiting my blog. yours is so inspiring! 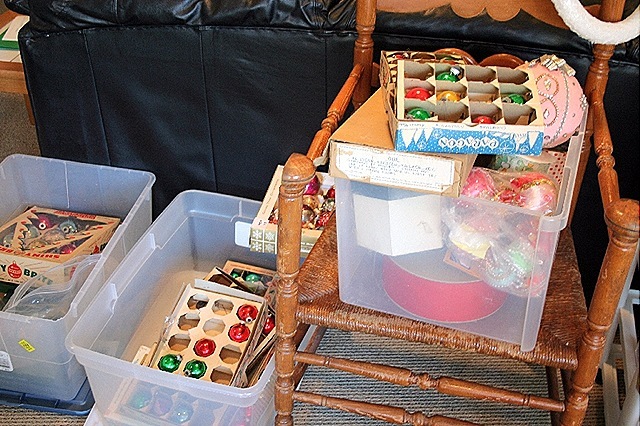 Great finds this year…I also collect all year long for my crafts – good thing we don’t live in the same neck of the woods. I use the 40 percent off coupon from Michaels for hot glue as well – have you noticed the price of it lately? YIKES! Love the wreaths! I’m not normally a wreath person because I find them boring and traditional, but your wreath has definitely changed my mind! Amazing! Will you be listing these on your Etsy shop? Or are they too delicate for shipping?